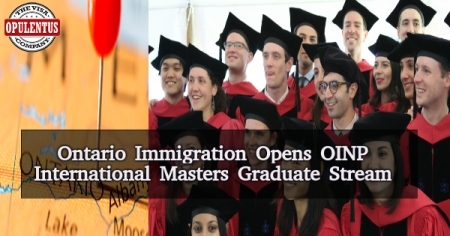 The International Masters Graduate Stream of the Ontario Immigrant Nominee Program is open for the second time in this year. It was previously open in January and had closed within 12 hours. A statement has said that the OINP is now accepting applications in the Masters Graduate Stream. It also notified that the OINP is keeping an eye on the intake of applications to meet the limits of nomination allocation for 2018. All Applicants will receive information regarding the meeting of application intake limit. The International Ph.D. Graduate Stream of Ontario started in January and still remains open. Ontario is a province which is managing immigration streams where international graduates do not need a job offer. The other similar program is Quebec Experience Program in Quebec. Some Changes were made to the International Masters Graduate Stream in 2017. It now accepts applications from candidates who are living in Ontario or in foreign lands. Additionally, there is an option to use a different service provider to test the language. There is no provision to accept Applications from other provinces and territories in Canada. There is a hope that the allocated spots will be filled up soon. Furthermore, the OINP is having an allocation of 6,600 for the present year. This was increased by 600 when compared to the total of 2017. The Candidates need to complete their studies in the country in the past two years. The Candidates must possess a Master’s degree program given by an Ontario university receiving public funds. They must complete the one-year full-time study. They have to attain level 7 in English/French. The Candidates must possess a Ph.D. degree program given by an Ontario university receiving public funds. They must complete two years of study. They need to legally live in Ontario or must be residing abroad; the Applicant can apply in a period not exceeding two years after receiving the Ph.D. diploma. Special note: The Ontario International Masters Graduate Stream is not open now.